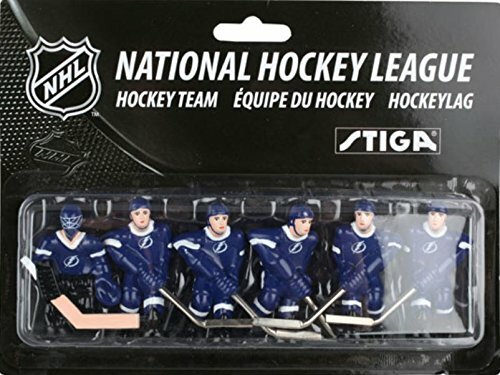 Officially Licensed players for the Stiga NHL Stanley Cup Hockey Table Game. 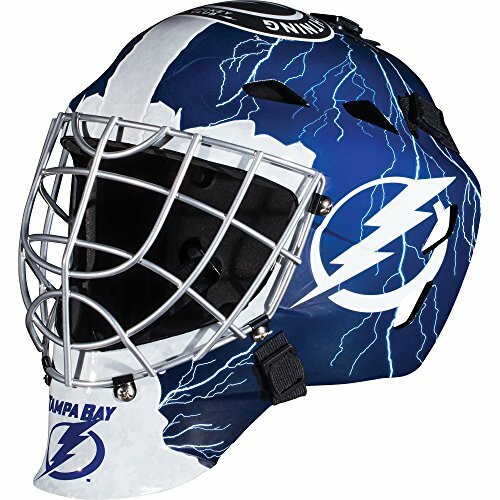 The Franklin Sports GFM 1500 NHL Team Licensed Goalie Face Mask series keep any street hockey goalie protected and comfortable while representing your favorite NHL team. 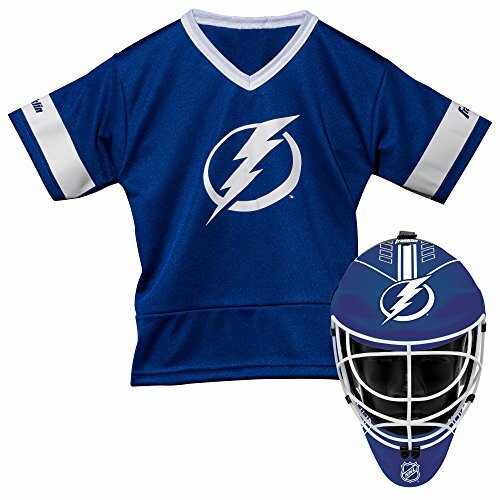 Each helmet features official NHL team colors and logos and the chrome finished steel cage makes you feel like one of your favorite goalies between the pipes. Official NHL team colors and logos Newly designed ACD vented shell Molded high-impact ABS plastic Full-coverage adjustable back plate Chrome finish welded steel cage Adjustable elasticized quick-snap straps Recommended sizing for ages 6 to 12 Designed to reduce, not prevent, injury Only for street hockey use with an official size - 2-5/8" - street hockey ball Not HECC/CSA certified (not for ice hockey or any type of "puck" play). 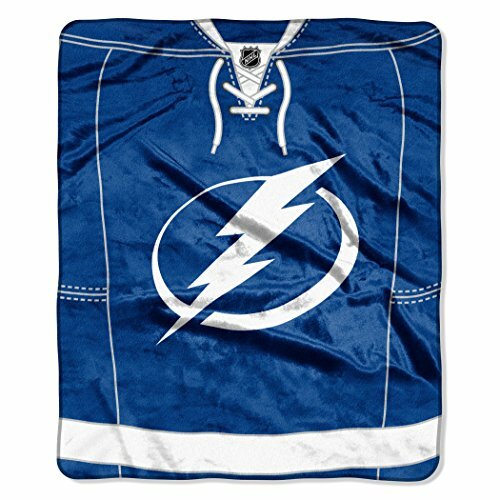 The Northwest Company Officially Licensed NHL Tampa Bay Lightning Jersey Plush Raschel Throw Blanket, 50" x 60"
Tampa Bay Lightning Basic Logo Hockey Puck NHL Desk Pen Holder. 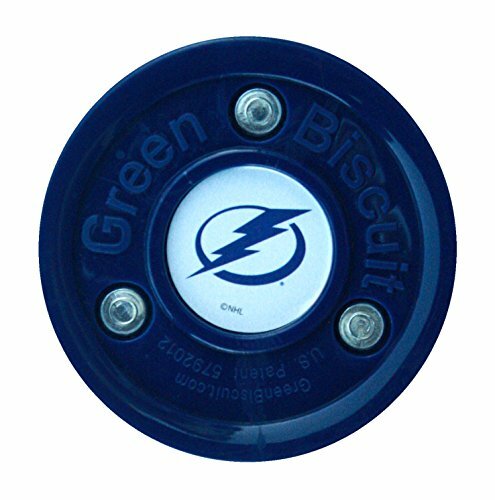 Has an authentic Sher-Wood basic logo puck as the base. Pen and funnel are black with gold accents. Pen has black ink. Replacement pens are available. Puck is officially licensed by the NHL. This is a real hockey puck. This brings an authentic look to the pen holder. 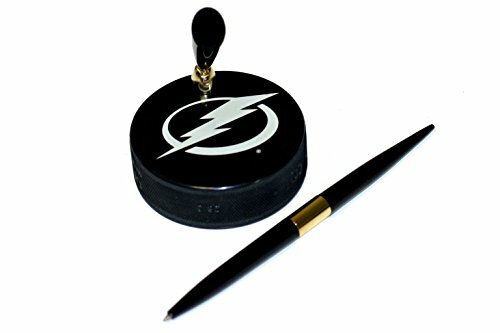 Makes a unique and wonderful gift for hockey fans. 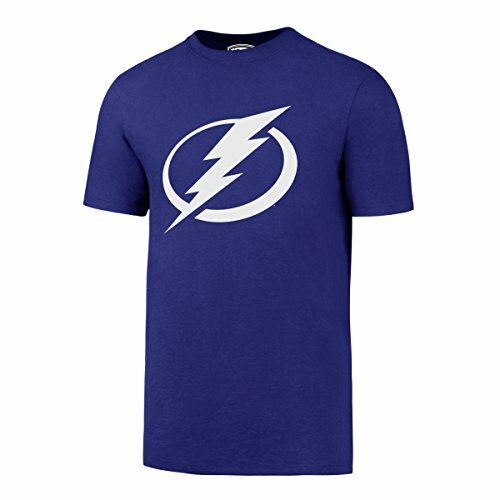 All NHL Teams are available!